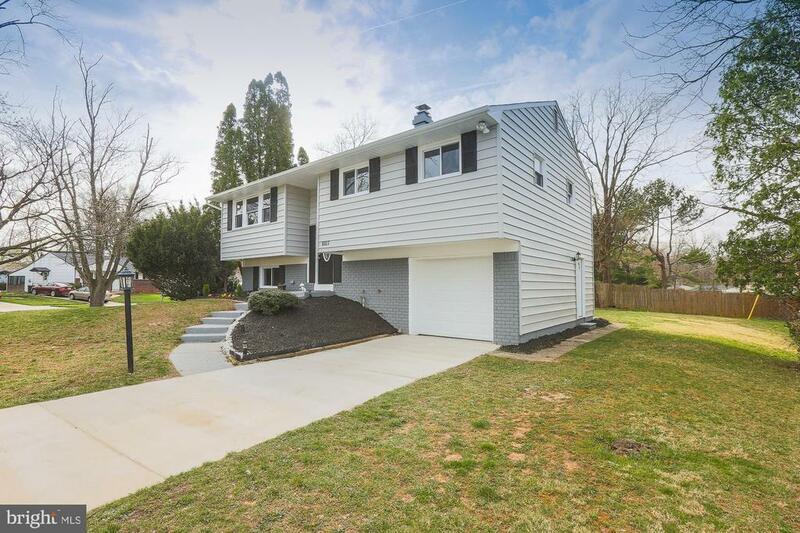 Nothing to do but move right into this tastefully updated split foyer in Imperial Gardens. Kitchen has been elegantly updated with soft close cabinets, Quartz countertops and SS appliances. Living room has custom railings while bathrooms and kitchen boasts custom tile work. Original hardwood floors throughout the main level. Master bedroom has his and hers closets. The finished basement has waterproof vinyl plank flooring plus a 4th bedroom, full bathroom and a family room with wood burning fireplace. Park your car in the attached garage or use it for added storage. Close to major highways and shopping. Permits pulled and inspected. Home warranty included. HURRY AND SEE IT TODAY, WONT LAST LONG!!! Directions: Brenbrook to Meadow Heights. Housesits on corner lot on cul de sac.